What are bond prices and maturities? Has Israel ever defaulted on payment of principal or interest? No. Israel enjoys an exceptional reputation for debt repayment that has been cited by Moody’s Investors Service. When are rates determined and interest paid? 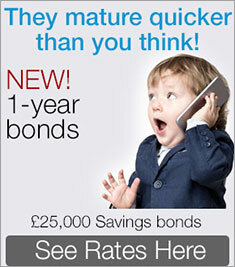 Rates for all Israel bonds are determined twice per month, except Mazel Tov, which are determined once per month. Sabra, Mazel Tov, Maccabee and Jubilee bonds pay a fixed rate of interest for the life of the bond. Sabra, Mazel Tov bonds pay interest and principal upon maturity. 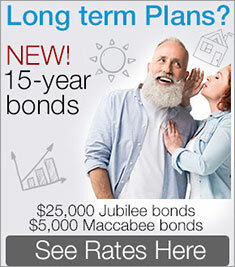 Jubilee and Maccabee bonds pay semi-annual interest May 1st and November 1st. LIBOR Floating Rate and LIBOR Floating Rate Financing bonds pay interest June 1st and December 1st. Do bonds earn interest beyond maturity? Israel Bonds do not accrue interest after maturity. Can I reinvest mature Israel Bonds in a new security? How do I pay for my bond? What information do I need to purchase a bond as a gift? For redemptions, do I have to submit the physical bond? Yes. If you hold a physical certificate, it must be submitted to the fiscal agent with order to receive payment. If you have a book entry bond, the fiscal agent will either mail the redemption check to the address on file upon maturity or deposit it into the bank account provided. What do I do if a bond is lost? A fee will be charged to replace each bond, based on the total face value. What documents are needed for redemptions and transfers involving a deceased investor? Can I transfer my bond to another individual or organization? How does DCI handle personal and private information? Does Israel Bonds have a business continuity plan? The Bonds organizationmaintains a comprehensive business continuity plan (BCP) that addresses how DCI/State of Israel Bonds will respond in the event of a significant business disruption. The BCP is subject to modification.